Benapole, 3 Dec, Abnews: Export and import between India and Bangladesh through Benapole land port resumed on Sunday morning as the Indian Transport Workers Union called off their strike on Saturday afternoon. Indian transport workers withdrew their strike following a meeting with C&F agent’s staff association on Saturday afternoon. 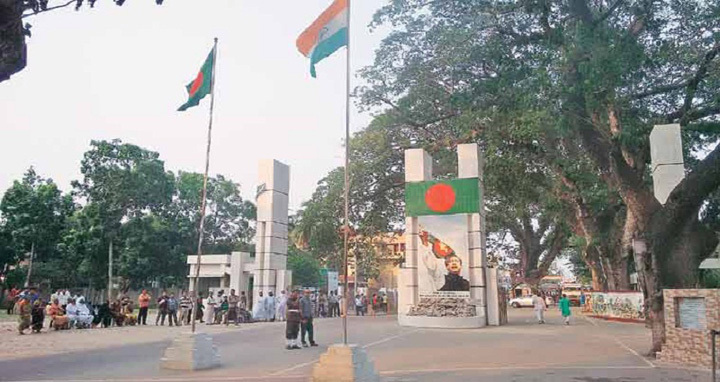 after being assured that the goods-laden Indian truck seized by the members of Border Guard Bangladesh (BGB) would be released. BGB men seized the truck after they recovered one-shooter gun and two bullets from the vehicle at the Indian terminal of the port on November 8. Following the seizure, Indian transport workers went on the strike claiming that the truck was seized illegally.